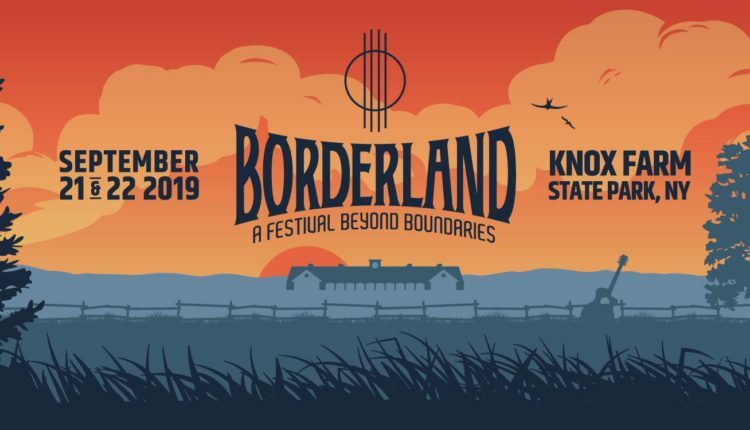 The Borderland Music & Arts Festival has unveiled its 2019 event. The 2nd annual festival will be held September 21 and 22 at Knox Farm State Park in East Aurora. The Borderland Music & Arts Festival features over 20 bands on three stages with an outstanding array of national, regional and local Americana and roots artists. Headlining the event is Gov’t Mule, Greensky Bluegrass, Shakey Graves, Mavis Staples, the Wood Brothers and the Infamous Stringdusters. 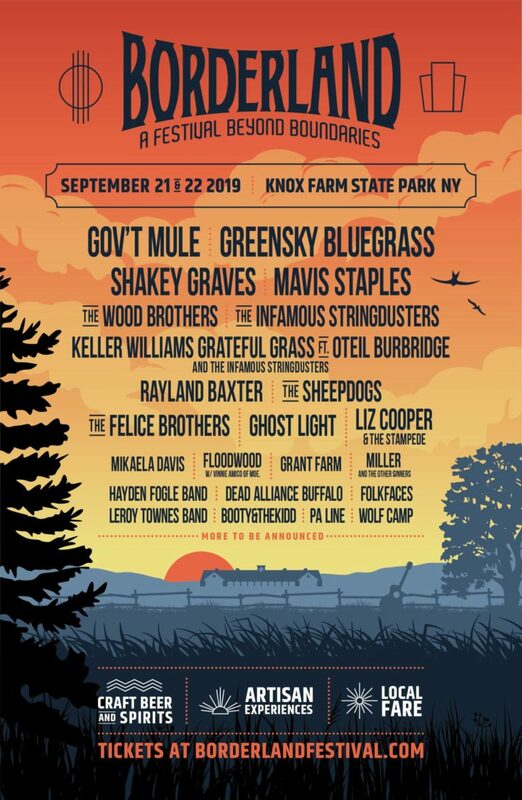 Keller Williams‘ Grateful Grass will be performed as a very special, first-time collaboration with Oteil Burbridge and the Infamous Stringdusters. Other National acts joining the lineup include Ghost Light, the Felice Brothers, Rayland Baxter and the Sheepdogs. New York-based Floodwood, featuring Vinnie Amico of moe., will be performing, as well as Rochester artist Mikaela Davis. Borderland will also host eleven bands local to the Buffalo area. The Borderland Festival is also a celebration of the flourishing New York State craft industry. Showcasing an “Artisan Alley,” where festival-goers can interact with some of the most talented artists in the region. The festival will feature craft beers, cider, and distilled spirits. There is a strong emphasis on sustainability with a designated “Green Team” focused on composting, recycling and handling waste. Jennifer Brazill, Borderland Co-Founder states, “We are beyond thrilled to announce this line-up for our second year of the Borderland Festival. We worked very hard to curate a festival that would compliment the park’s beautiful spirit with not only their music but also their vibe as well as will have a strong focus on sustainability and community. 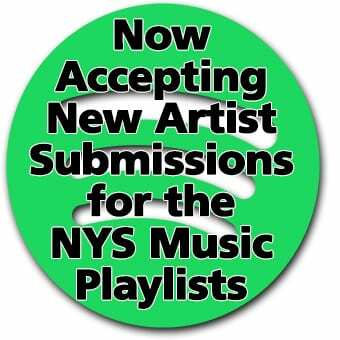 We are very excited to introduce new bands to the music fans of the region and celebrate the already rich music tradition of Buffalo”. Tickets for the festival will go on sale on Friday, April 5 at 10 a.m. EST on the festival website. Tier 1 pricing starts at $110 for the two-day General Admission ticket. The two-day VIP tickets will be $249 and the three-day VIP ticket will be $299. VIP tickets include free parking, prime viewing for both stages, a private bar, and private restrooms. Free admission for children 10 and under when accompanied by a paying adult. A portion of the proceeds from the festival will be donated to Knox Farm State Park, as well as Headcount, Buffalo Niagara Waterkeeper, and the West Falls Center for the Arts. For more information on the Borderland Music and Arts Festival, visit the festival website.